In celebration of the upcoming Hari Raya holidays, the Asian Food Channel, part of the Scripps Networks family of lifestyle networks and Asia’s first and only 24 hour regional food and lifestyle channel, will be launching an online and on-ground initiative named the “AFC Foodie Face-off”. Organized exclusively for AFC Facebook fans in Malaysia, this initiative is aimed to further support AFC viewers’ passion for food, and provide them with a new and interactive platform to share their talents in the kitchen with fellow enthusiasts. 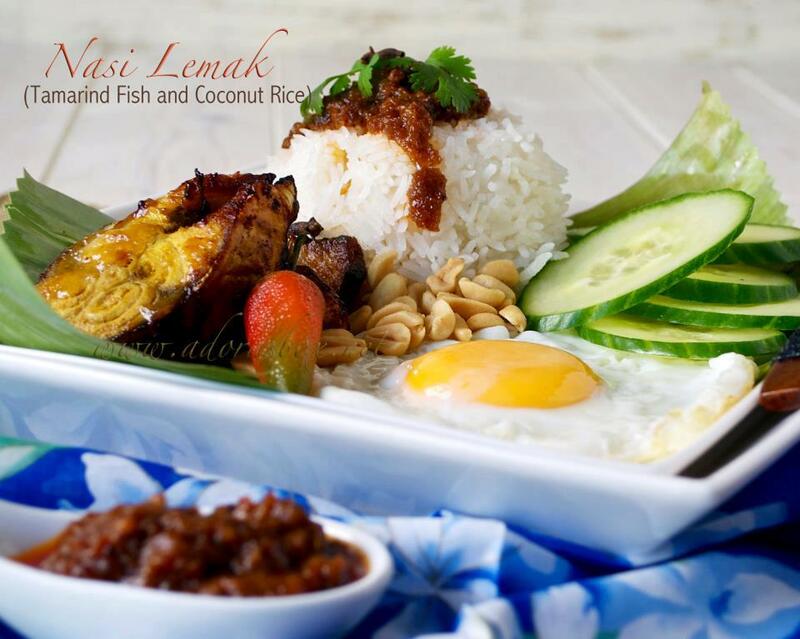 From Friday, 24th of May to Wednesday, 19th June 2013, local foodies can submit photos of their best home made dishes on the AFC Facebook page, where fans and friends can subsequently vote for their favorite dish submissions. AFC judges will choose the top 20 finalists from the top 50 entries submitted – The top 50 will be chosen based on fan ‘likes’, creativity and appearance. Those chosen will be given one week to prepare before they go head-to-head at a public cook-off held at local cooking school, The Cooking House. 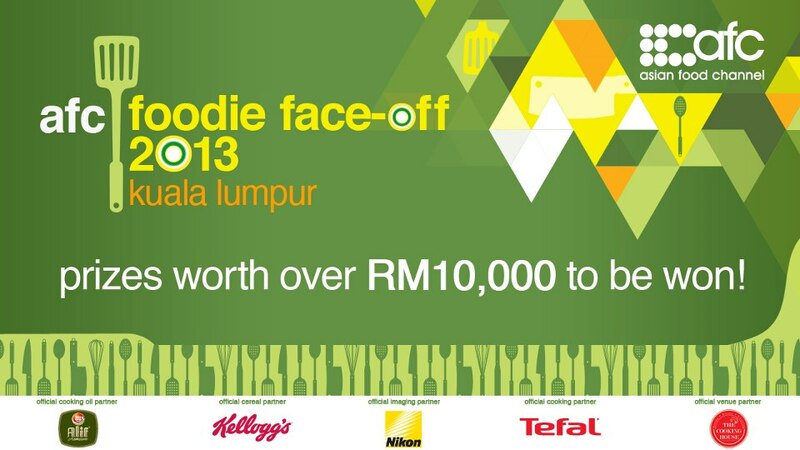 Fans who are looking to participate in the cook-off can look forward to a range of exciting top prizes worth over RM 5,000 (First Prize), RM 3,000 (Second Prize) and RM 2,000 (Third Prize). The prizes will consist of items such as Nikon Cameras, Tefal products and AFC merchandise. There will also be a special appearance from two well-loved AFC Celebrities from Malaysia, Sherson Lian of 5 Rencah 5 Rasa and Anis Nabliah of Icip Icip. Both will be present on the day of the cooking competition as honorary guest judges. The online portion of the initiative will be mainly driven through all AFC social media channels using strategic posts and through the AFC official website using placed banner ads. All efforts will aim to reach out and create awareness for the database of over 1.2 million regional fans. Marketing of the initiative will also be supplemented through the official AFC website (www.asianfoodchannel.com), and online support from partners. For more information about the “AFC Foodie Face-off”, please visit the AFC Facebook page (www.facebook.com/asianfoodchannel) from Thursday, 10th May 2013 onwards. Based in Singapore, AFC’s wide Asian distribution footprint covers twelve territories and 130 million viewers, on basic tiers of all the major pay TV platforms across Asia. Please visit www.asianfoodchannel.com for more information. AFC is a subsidiary of Scripps Networks Interactive. Scripps Networks Interactive is one of the world’s leading developers of lifestyle-oriented content for television and the Internet, generating more than 2,000 hours a year of original on-air programming. The company’s television programming can be seen in 170 countries across all seven continents. Its media portfolio includes popular U.S. lifestyle and Internet brands HGTV, Food Network, Travel Channel, DIY Network, Cooking Channel and country music network Great American Country. B-10-3, Tiara Faber, 456, Jalan Desa Utama, Taman Desa, 58100 Kuala Lumpur, Malaysia. AFC provides fans in Malaysia with a chance to showcase their culinary talents at a Hari Raya themed cook-off event held as part of its latest online and on-ground initiative.